08+ Scion xB Exhaust System. Aftermarket Performance Exhaust for Scion xB. Choose from xB2 Cat-Back or Axle Back Exhaust Systems from AFE, Borla, HKS, Magnaflow, Tanabe & Others. Gain power and great sound with a Scion xB2 Exhaust System. Description: FastScions Flex Fit Hats with 2-Color Embroidery! With over 15K stitch counts, these hats are one of a kind and look great on humans and even animals! Represent your favorite Scion performance parts company and look cool doing it. Description: FastScions License Frames are now available. Represent your favorite Scion performance company with an awesome FS License Frame. Ships for FREE when combined with other items. Otherwise, there is a $6.95 Flat Rate Shipping Fee. Ships for FREE when purchased with other items. Otherwise, $6.95 Flat Rate. 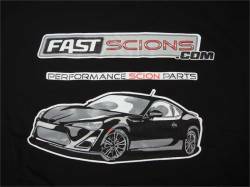 Description: FastScions Scion FR-S Hoodie (Short Sleeve) in Black. 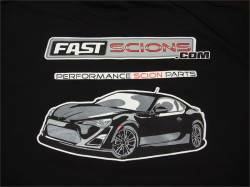 Represent your favorite Scion Performance Parts Superstore with a FastScions FR-S Hoodie. Features 5-color screen print and available in M-3XL. 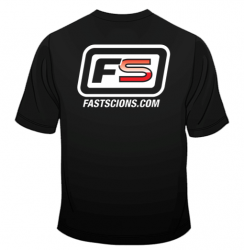 Description: FastScions FRS T-Shirt (Short Sleeve) in Black. 5-Color Screen Printed FRS Shirts on AAA Brand Cotton. Available in sizes M-3XL. Description: FastScions Scion tC2 Hoodie (Short Sleeve) in Black. Represent your favorite Scion Performance Parts Superstore with a FastScions tC2 Hoodie. Features 5-color screen print and available in M-3XL. 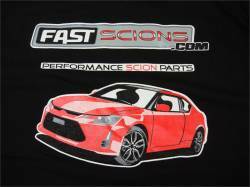 Description: FastScions Scion tC T-Shirt (Short Sleeve) in Black. 5-Color Screen Printed tC2 Shirts on AAA Brand Cotton. Available in sizes M-3XL. Description: FastScions Scion xB2 Hoodie (Short Sleeve) in Black. Represent your favorite Scion Performance Parts Superstore with a FastScions xB2 Hoodie. Features 5-color screen print and available in M-3XL. 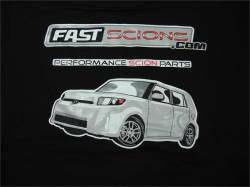 Description: FastScions Scion xB T-Shirt (Short Sleeve) in Black. 5-Color Screen Printed xB2 Shirts on AAA Brand Cotton. Available in sizes M-3XL. 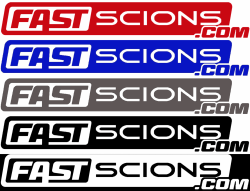 Description: FastScions.com stickers are now available in multiple colors. Represent your favorite Scion parts company! Available in Red, Blue, Silver, Matte Black and White. Includes (2) colored vinyls (7" X 1"). Description: FastScions T-Shirt (Short Sleeve) in Black. 2-Color Screen Printed FastScions Shirts on AAA Brand Cotton. Available in sizes M-3XL. Represent your favorite Scion Performance Parts Superstore! Description: FInally, a solution to supporting your 08-14 Scion xB2 Carbon Fiber Hatch or Trunk. We now carry a set (pair) of low pressure aftermarket hatch / trunk shocks for your Scion xB. 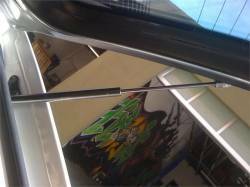 You CANNOT reuse your OE rear hatch shocks, they are too strong! !